The African centre of excellence on Water Infrastructure and Sustainable Energy Futures (WISE – Futures) at Nelson Mandela African Institution of Science and Technology (NM-AIST) in Arusha, Tanzania is inviting applications for WISE – Futures PhD Scholarship Opportunities. These scholarships are open to regional (Africa) students. The Nelson Mandela African Institution of Science and Technology (NM-AIST), is one in a net-work of Pan-African Institutes of Science and Technology located across the African continent. The specific objectives of establishing the AISTs fall under three broad headings, namely; human capital development; improvement of Africa’s education system to enable achievement of quality education for all; and knowledge generation, incubation, and dissemination. The AISTs are being developed as high quality, research intensive institutions with rigorous training programmes of international standards in SETI to meet the technology development needs of SSA. 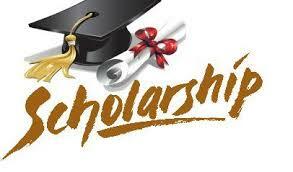 Study Subject: Scholarships are awarded in three key areas: water and sanitation, water resources, and energy. Scholarship Award: The partial scholarships will run for three years. Nationality: These scholarships are open to regional (Africa) students. Female applicants will be given priority consideration for the scholarship. Eligible Countries: These scholarships are open to regional (Africa) students. Female applicants will be given priority consideration for the scholarship. These scholarships are open to regional (Africa) students. Female applicants will be given priority consideration for the scholarship. ♦ Send your applications with all required documents via email: wise.postgrad-at-nm-aist.ac.tz. Your email subject should mention your nationality, name, and research area number as given in number 7 of eligibility criteria. Postgraduate Scholarship for Young African Scholars at Mandela Rhodes Foundation 2019-2020 | How to Apply.